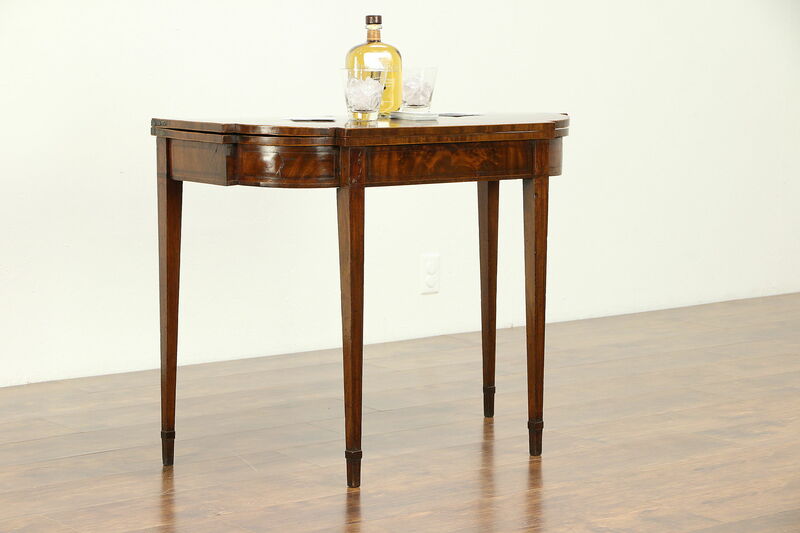 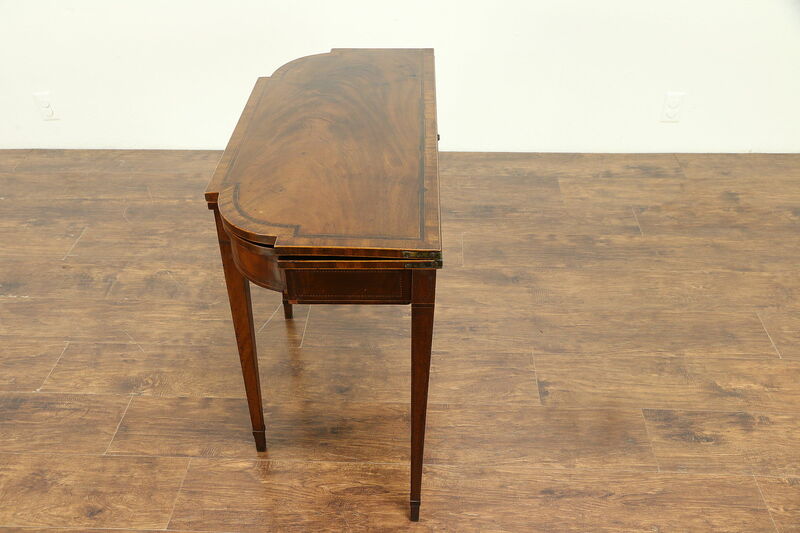 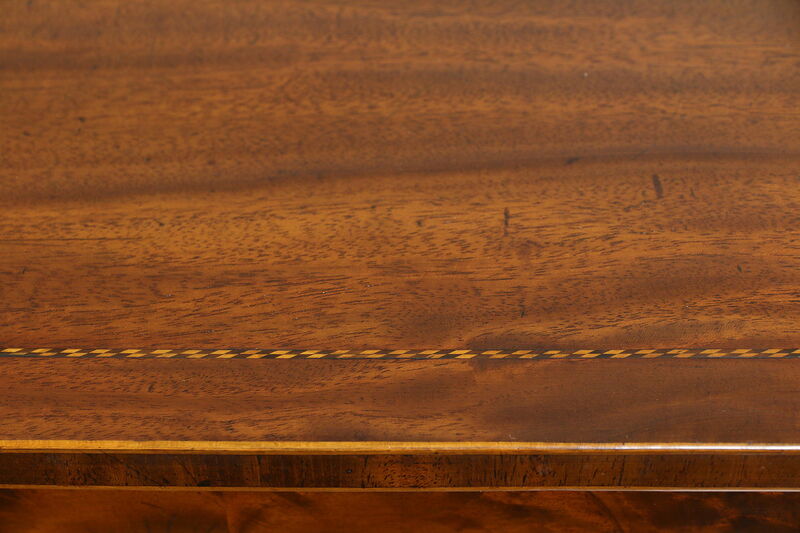 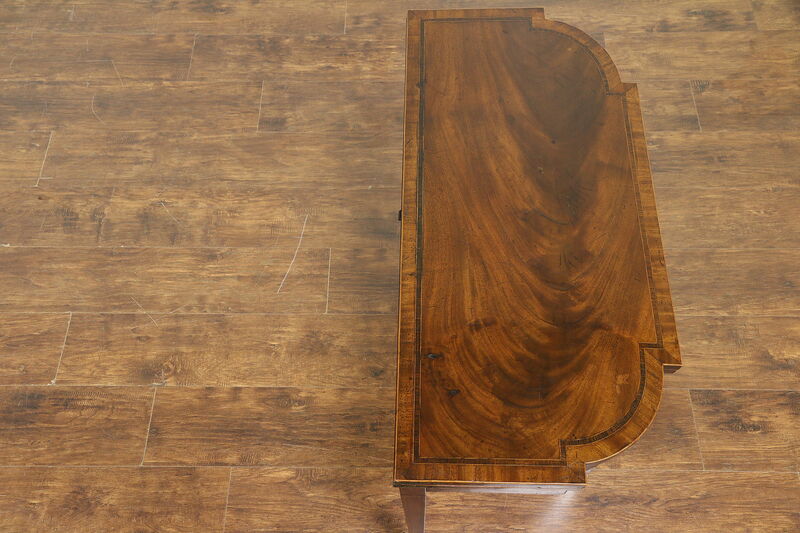 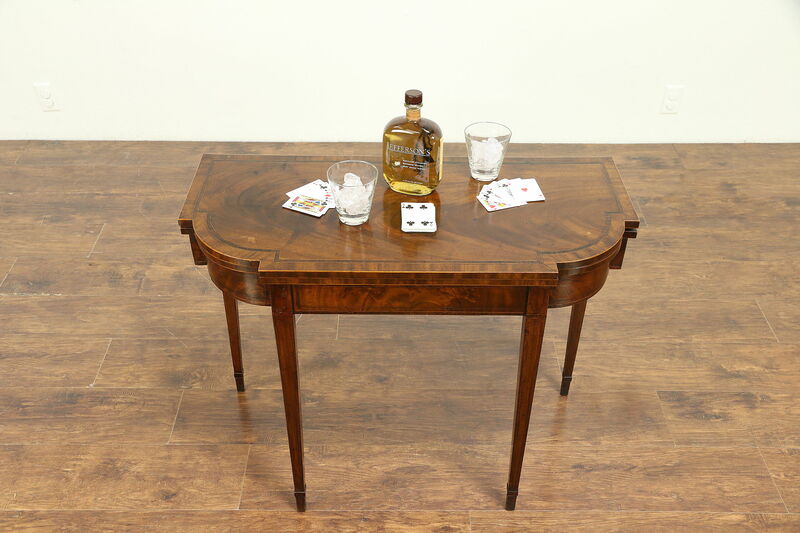 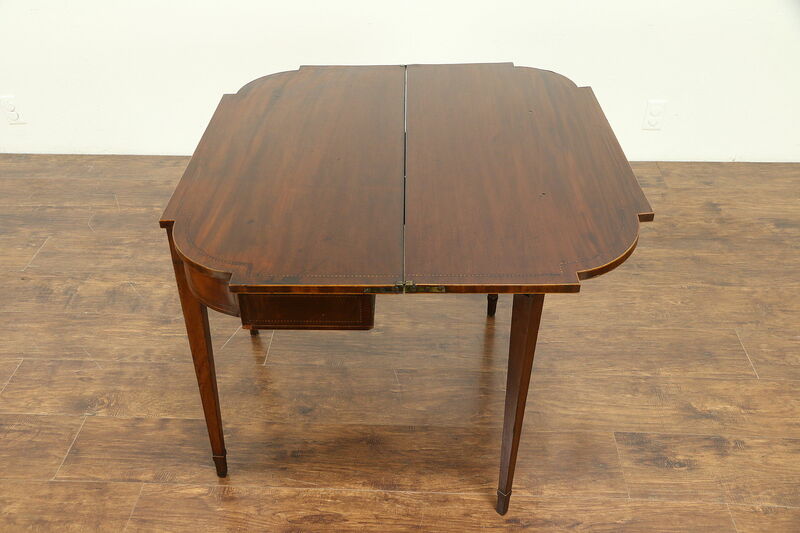 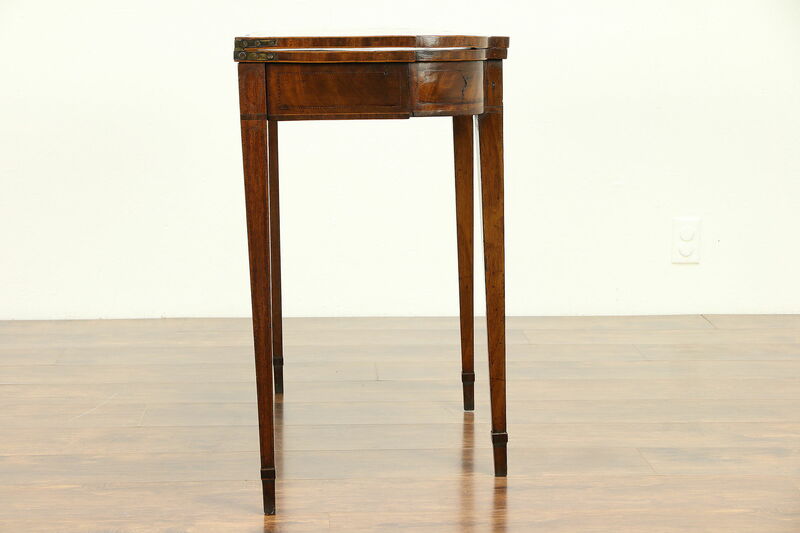 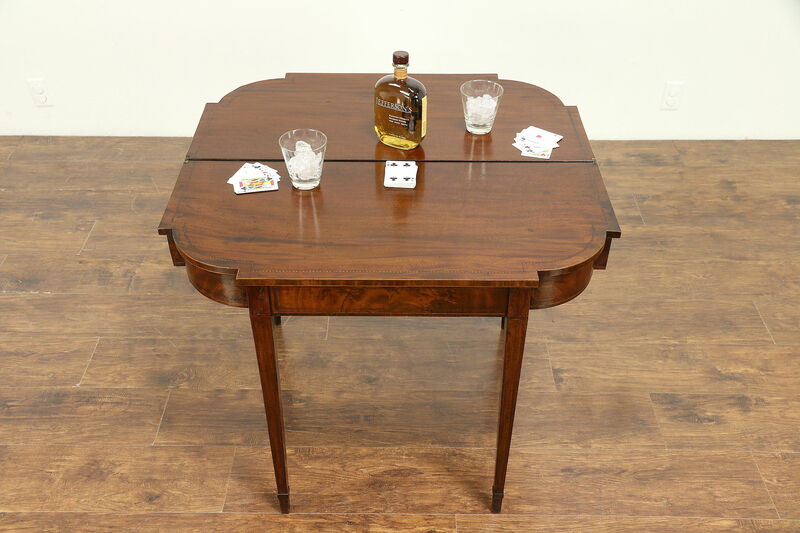 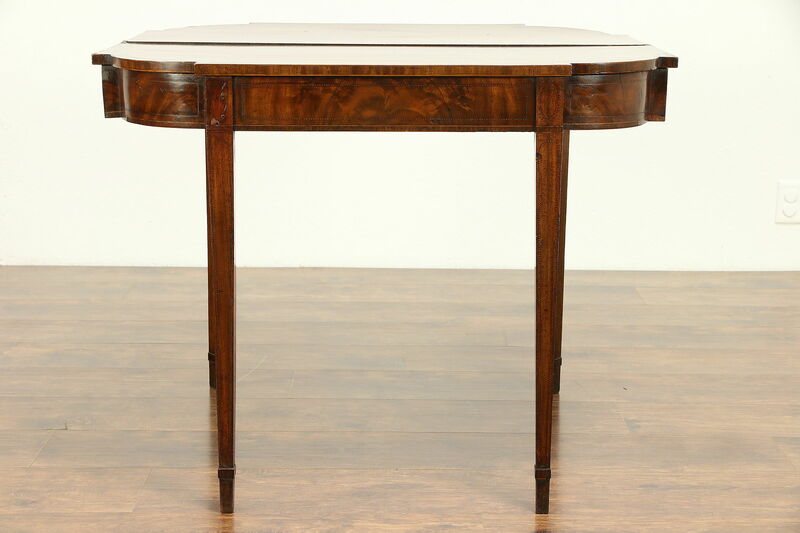 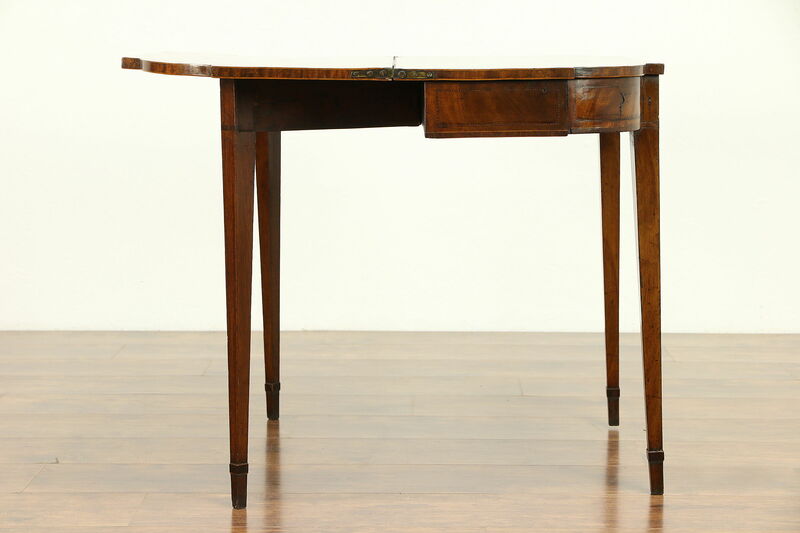 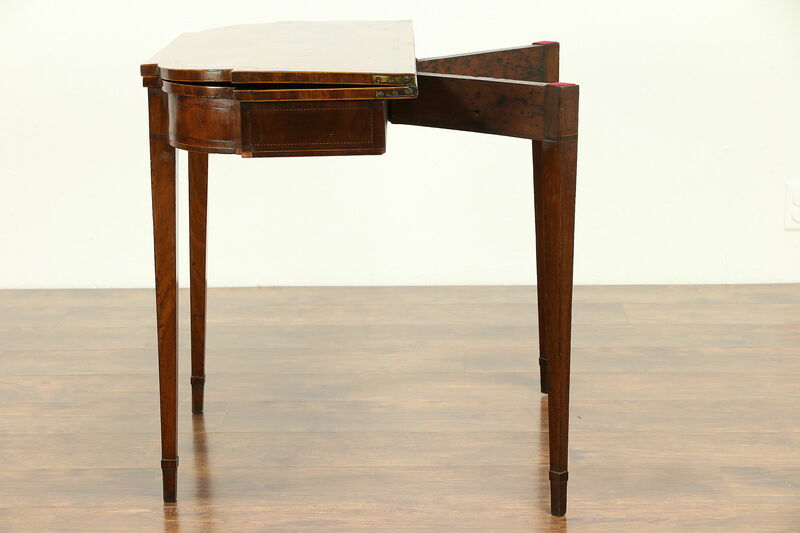 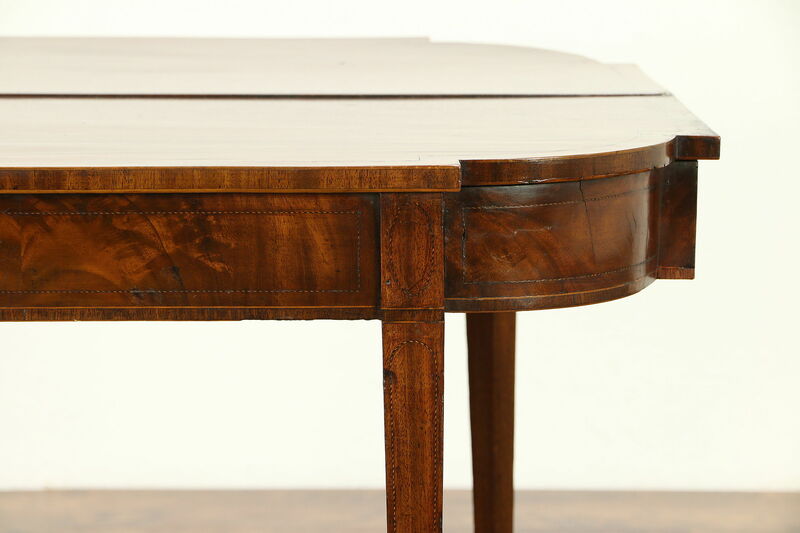 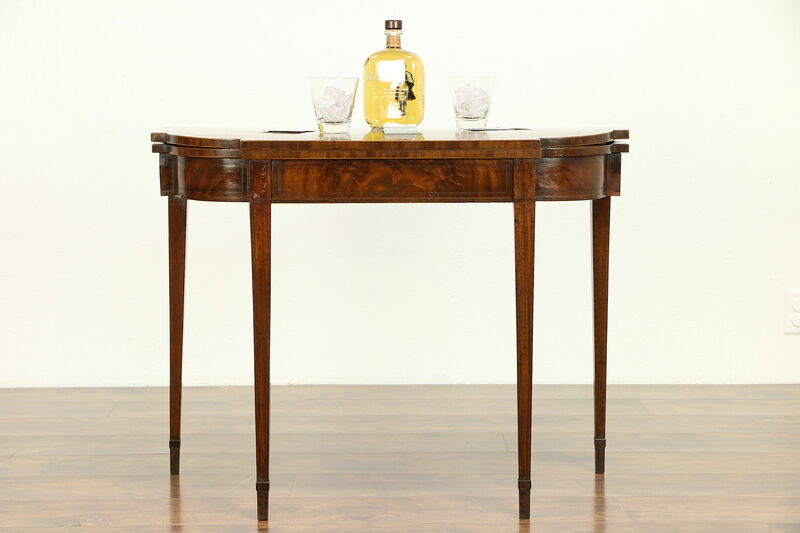 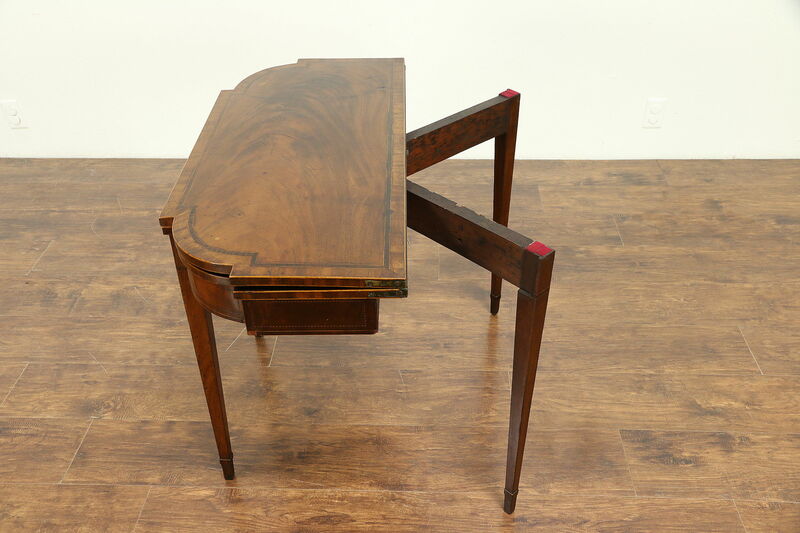 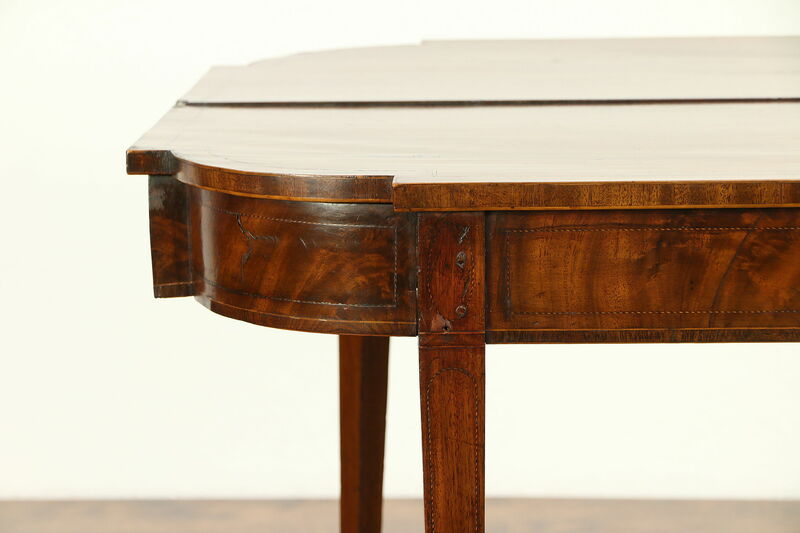 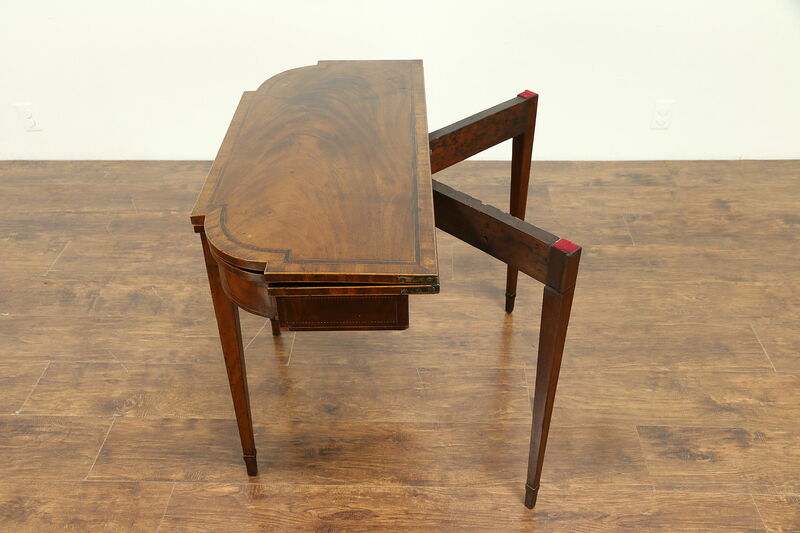 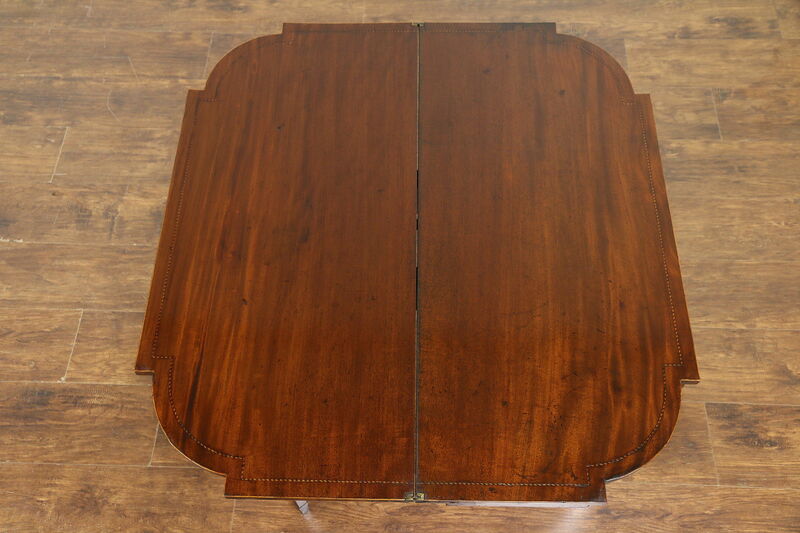 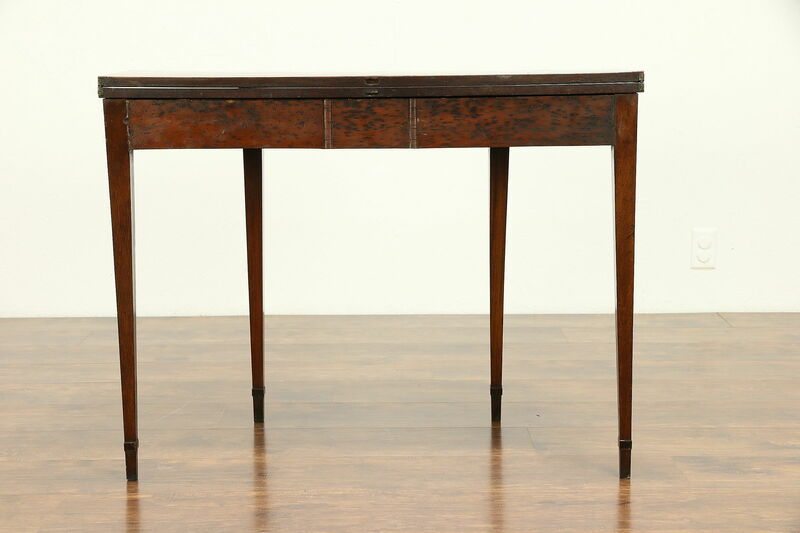 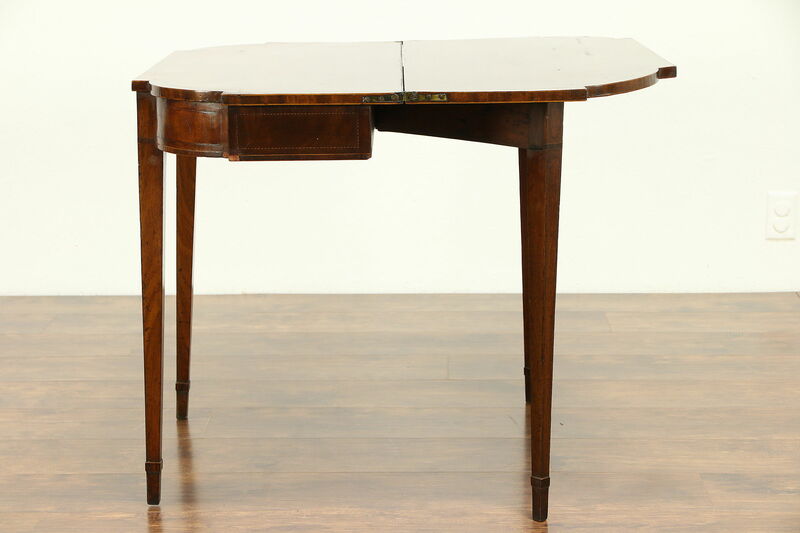 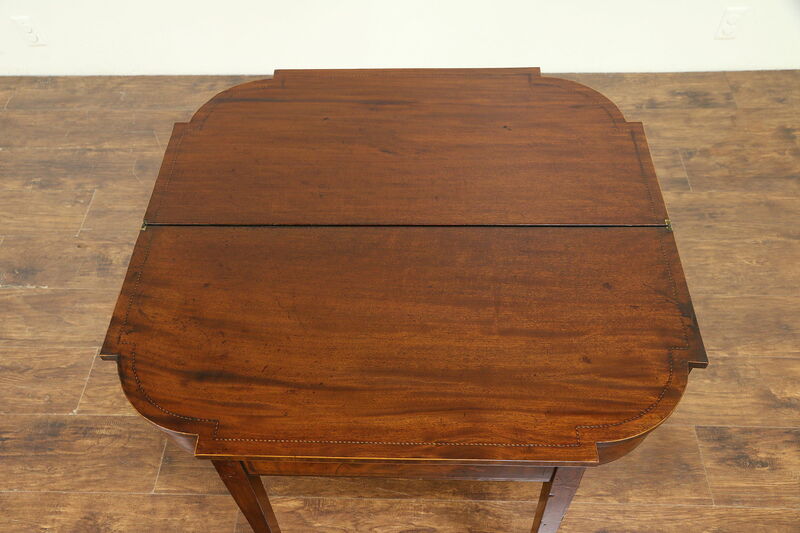 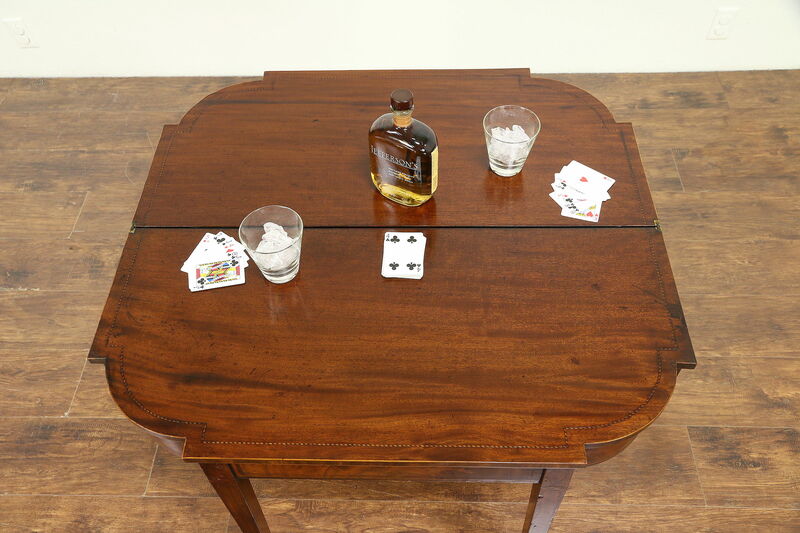 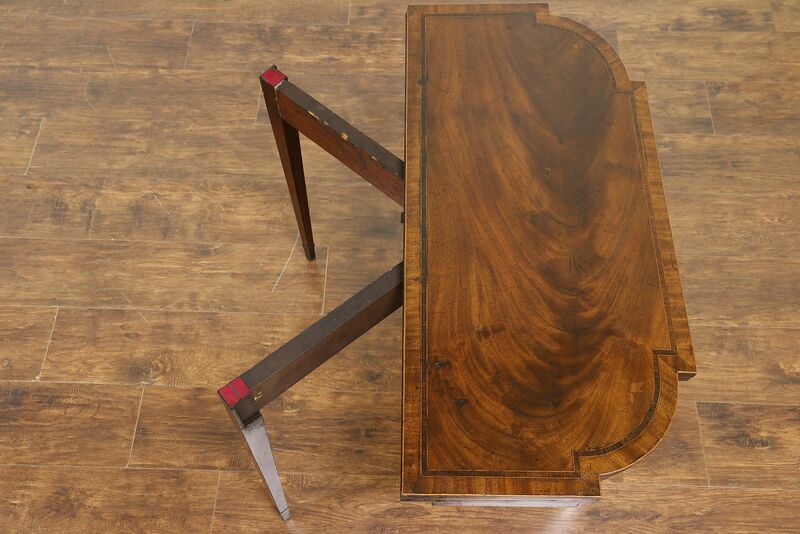 An authentic Hepplewhite period console from about 1790 opens to a game table, and is mahogany with inlaid banding of flame grain mahogany, rosewood and satinwood. 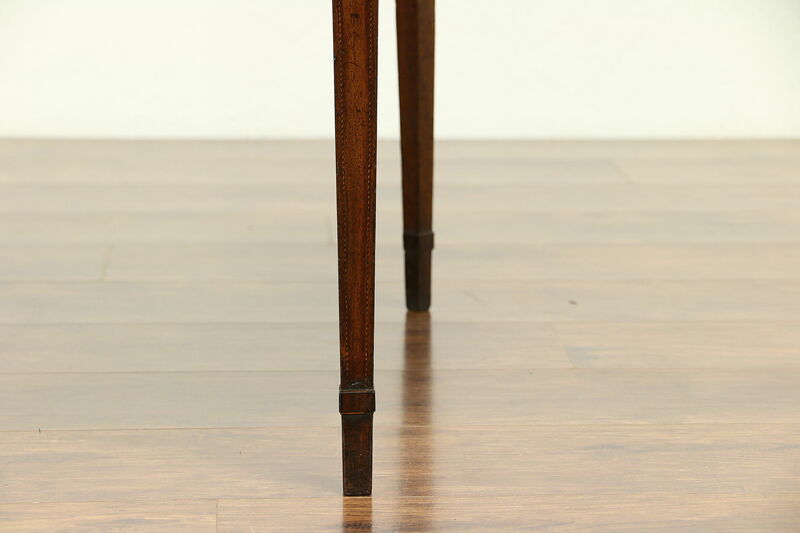 Two gate legs on the back side swing out on carved wooden hinges to support the flip top. 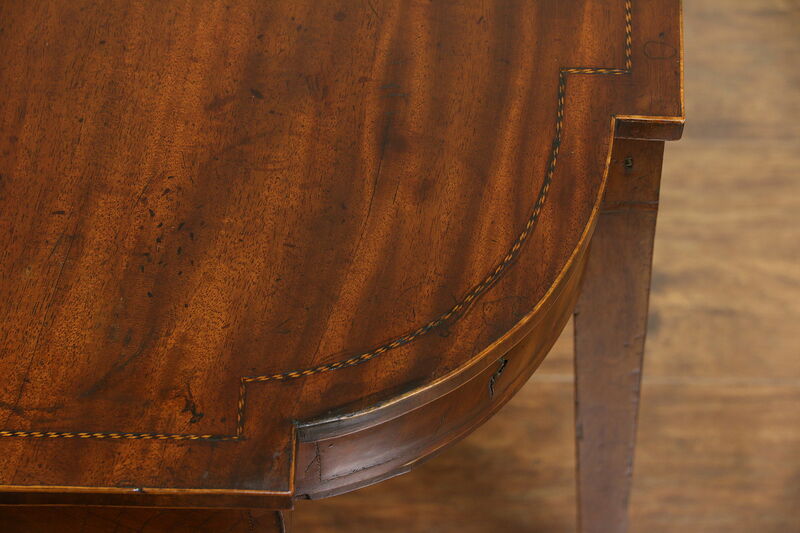 The old finish has lots of warps, wear, shrinkage separations from age and mars for antique character, see photos. 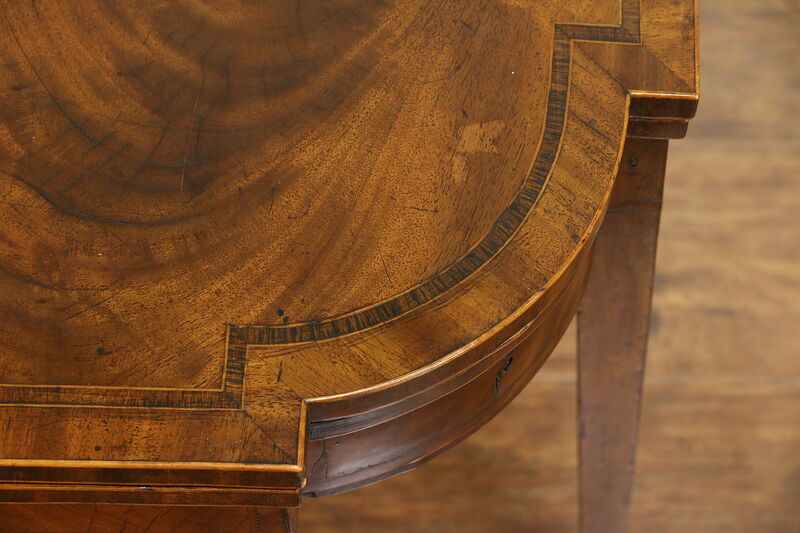 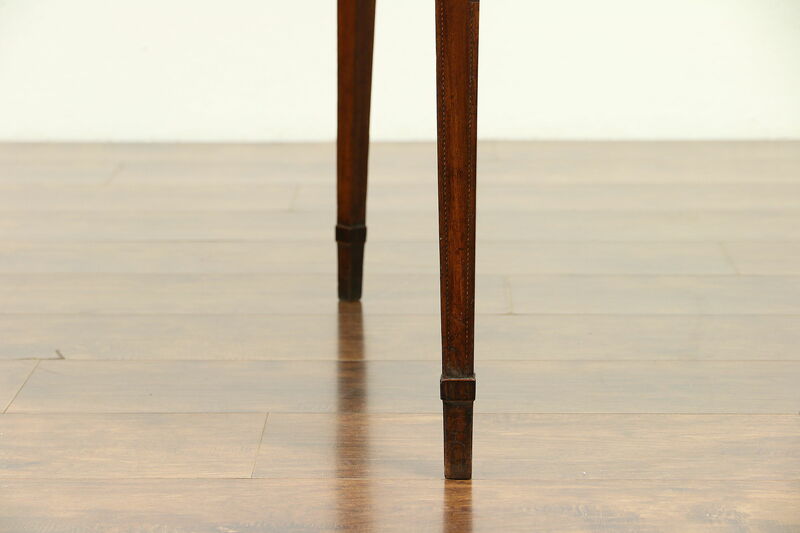 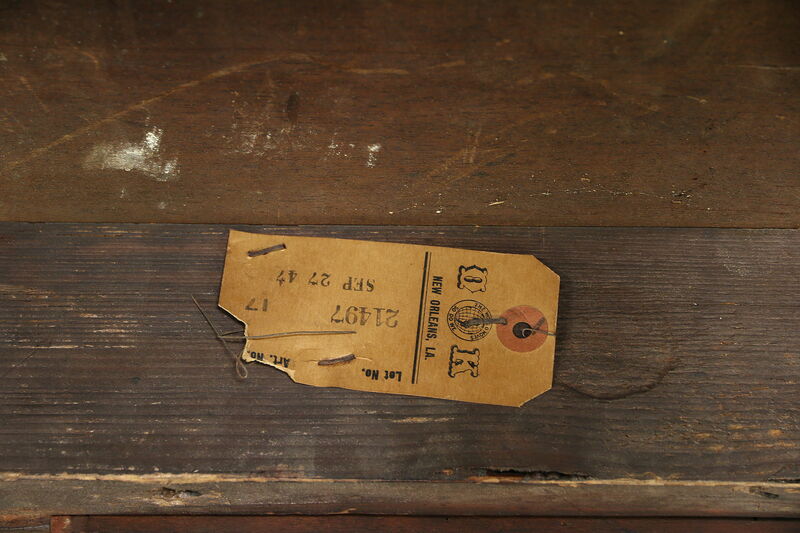 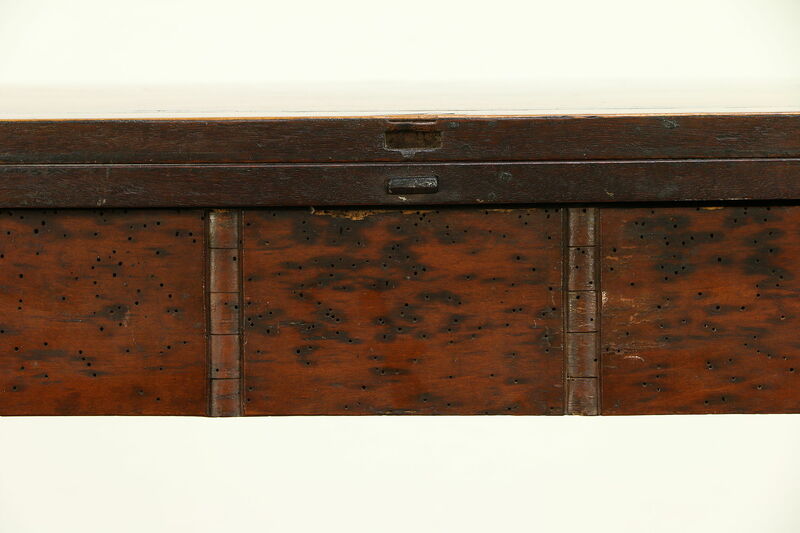 There are old repairs over the centuries and mellow patina on this American made furniture. 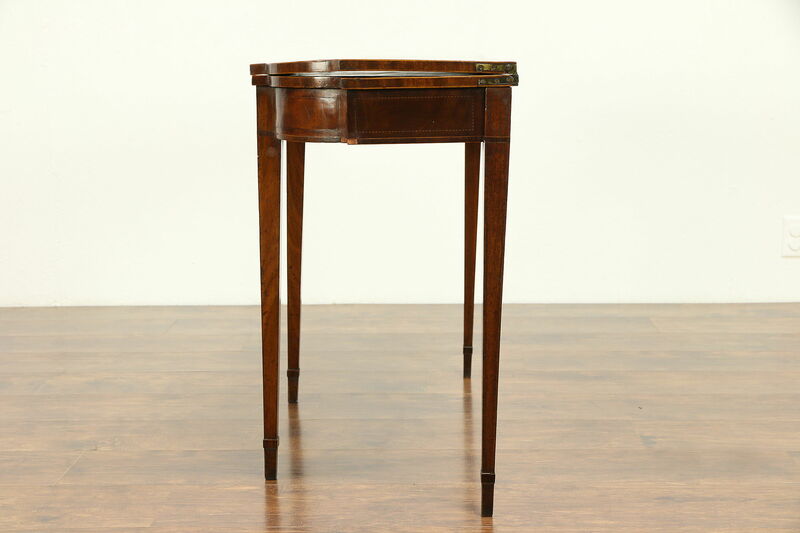 Measurements in console position are 36" wide, 17" deep and 28" tall, open size is 36" x 36."